Lab Fairy has returned from the first visits to labs, and reports from the field are showing up. Lab Fairy found a bunch of chemical bottles to label and also made sure to properly catalog them with LabSuit. One lab had just transferred many chemicals from one room to another, leaving more than 500 items to be taken care of. An old proverb says: "He works best who knows his trade". First, Lab Fairy analyzed 600 research labs already using LabSuit and learnt what inventory management best practices are best suited for each type of lab. 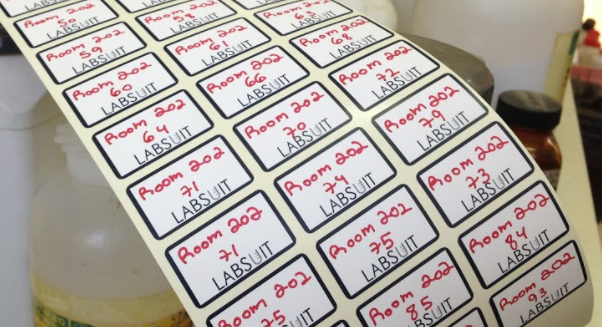 Secondly, the Lab Fairy arrived at the lab equipped with solvent-resistant labeling stickers and different sized and colored markers for making notations. Having discussed the goals with the lab manager, the decision was to give every chemical a serial number. This method is quite popular among Organic Chemistry labs. Another variation of that method is to restart numbering for every letter a chemical begins with. For example, acetone is A-1, aniline is A-2, bromine is B-1, and so on. The work process includes several steps, some more obvious and some less. 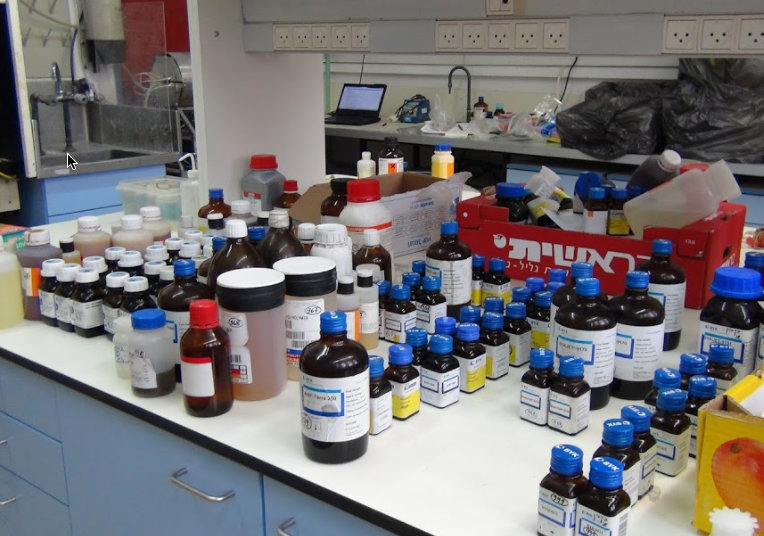 The required, non-obvious step was to organize all bottles on the bench, and to make sure the items of the same category get a subsequent serial number. 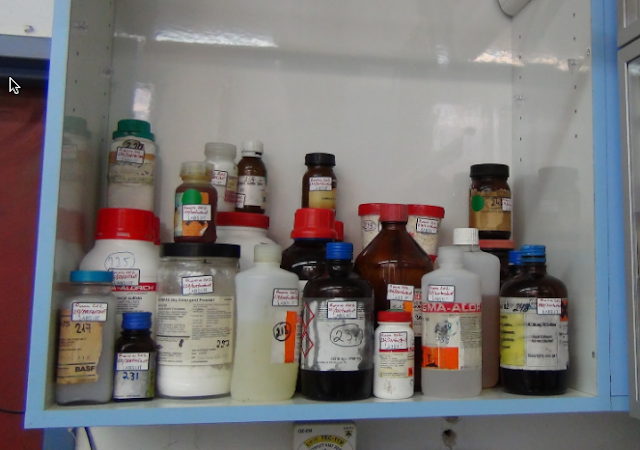 This lab presented a special case, as it had transferred a big portion of its chemicals from one room to another. This transition required a number of checks to be performed. Nevertheless, in just 4 days, our Lab Fairy helped the group organize these items, while making sure to catalog all of the chemicals with Labsuit, and labeling every single bottle with a solvent-resistant label. 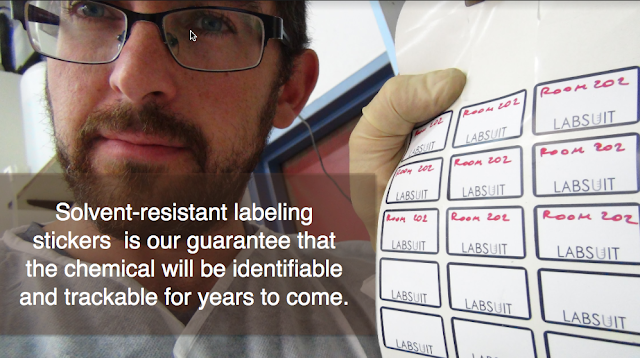 The label is our guarantee that the chemical will be identifiable and trackable for years to come. Our Lab Fairy was very excited to help Prof. Shlomo Magdassi’s research group organize their chemicals in a new room. Thanks to the Fairy's vast experience, the project was handled promptly. We're sure that many researchers would also enjoy this fruitful makeover! My name is Dr. Yelena Vinetsky and I am responsible in our group for the normal operation of Prof. Shlomo Magdassi laboratory rooms. After updating the furniture in one of the lab a complex problem was created. 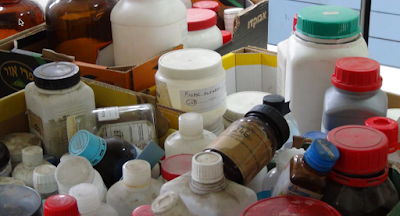 How to return to the place over that 1,500 chemical reagents. In this case it was necessary not just return back to their place all chemicals, but also to verify the presence or absence of them. For this, it was necessary to spend as little time and as less as possible to tear researchers from their scientific work. And then a new service of LabSuit helped us a lot. Vadim, who mainly served as fairy, worked quickly and competently. Thanks to him and the Lab Fairy service of LabSuit, renovated room rather quickly returned to normal operation. I am sure that in case of necessary, we turn again to the Lab fairy. Yelena, thanks for this kind words. 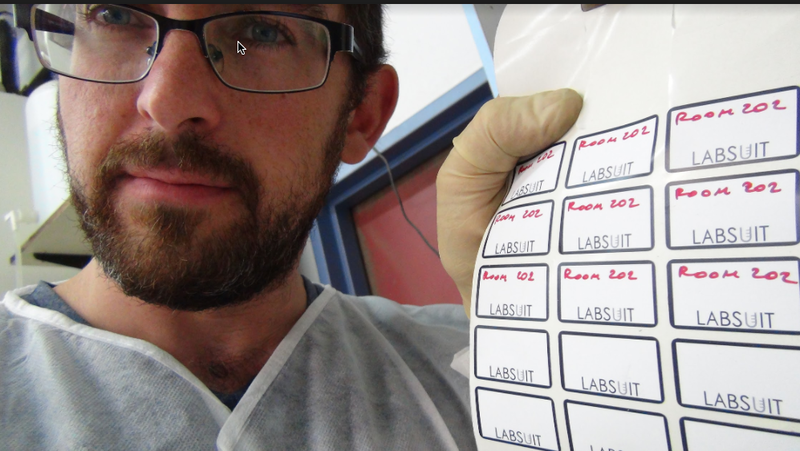 It was our pleasure to help your lab out with cataloging all the reagents with LabSuit!